The Bouncing Tigger Reads – Page 201 – Reading is my passion and my joy – come and read with me! High Altitude by Carol Kelly. A netgalley review. Another example of what to a UK citizen with the NHS of the horrific consequences of the US health system. We have a friend with a house in Florida who last year, when on holiday there, caught his finger in his garage door up-and-over. He went to his local hospital but because he had broken the skin and was bleeding as well as having broken his finger, he was not able to be treated there. He was therefore transported for 4 hours across Florida by private ambulance to a hospital where he was anaesthetised and operated on – they felt they could not stitch up this (minor) laceration without putting him to sleep and using an operating theatre. In the UK they would have done all of this in the Accident and Emergency Dept – which can stitch under local anaesthetic! Anyway, this then resulted in our friend staying over-night. Given drugs and a bill of $40,000! Just for a broken and slightly lacerated finger… he is still quivering at the size of the bill. So cancer treatments become horrendously expensive and members of the family resort to all sorts to pay the bills. Of course. Here it seems they resort to flying with very dodgy characters into very dodgy areas of the world to undertake very dodgy missions. High Altitude refers to the height of planes – jets – as they fly over mountains of course, but also the risks that are taken when you don’t know quite what you have let yourself into. Not being an expert on flying I relied on the author for accuracy here and as a former stewardess or flight attendant I am happy to assume that she was correct. Now as for the style of dress worn, the Salwar Kameez is a traditional Indian outfit, which I love – and actually have a set of – bought in Bangladesh. But technically the Churidar Pyjamies are the leggings – or tight trousers that are worn under the dress part. The name Churidar comes from the fact that these leggings are long, tight and intended to fold into wrinkles at the ankle, thus looking like churis or bracelets – see photo. With a salwar, the leggings are looser at the ankle. In fact, on my first visit to India I wanted to get some white cotton trousers as I thought they would be very cool, and discovered to my surprise, and the amusement of the shop assistants, that white are only worn by men and yes, are called pyjamas or pyjamies. So now we know where our ‘English’ word comes from! And also, if you wanted to buy them off the peg, you couldn’t buy women’s clothing anyway, as in India they were all made to measure. So mens’ white cotton trousers with a string waist pull cord it was – and my own salwar kameez also has a pull cord on the leggings part. I also agree with the statement about Islamic beliefs – they are not the problem, it is the men who use them for power and control who are – after all, it is the men who insist that women are covered up so that they – the men – are not tempted…! The Pashtun warriors mentioned are often fairer of skin as they may be descended from Iranian tribes, or some would also argue, from the offspring of Alexander’s men who stayed in India rather travel all the way back to Greece! Some also argue that they originate from the 12th Tribe of Israel, that was one of lost Tribes. They are certainly Caucasian and more Mediterranean in skin colour and feature. The tribes of the Pashtuns or Pathans traditionally originate from the Pakistan/Afghanistan borders – the high mountains. They are well known for their fierce demeanour and warrior/fighting skills. As well as sporting. They are of course, traditionally Muslim in religion, of the Sunni variant being converted around the 8th century, although some also argue that they were always followers of Mohammed and are descended from his original disciples. They are identified through 4 tribal confederacies: Bettani – ‎Ghurghakhti – ‎Karlani – ‎Sarbani; and are largely communal in culture as so many nomadic cultures are. They attach great importance to an unwritten code, called Pashtunwalli. This code defines the way members should behave to keep the tribe together. Hospitality (milmastia) is important, as is the use of the tribal council (jirga) to resolve conflicts and make decisions. Other Pashtun virtues include courage (tureh); taking revenge (badal); and protecting one’s honor (ghayrat). Another part of the Pashtun code of conduct is nanawati, a way of resolving differences through the group’s elders. [http://www.everyculture.com/wc/Afghanistan-to-Bosnia-Herzegovina/Pashtun.html#ixzz3WQqZvsvt]. It also true that Pashtuns are an integral part of the Taliban fighting force. The interesting story that the characters wove about assessing needs for a school being funded by a private US philanthropist, is clearly a reference back to Greg Mortenson and his mission to create schools in this border area [see his book Three Cups of Tea, reviewed on this blog on 9th July 2013]. As always I am interested to research any flowers or native trees mentioned, so the Kachnar tree is really Phanera variegate and is a species of flowering plant in the family Fabaceae, native to South Asia and Southeast Asia, from southern China, Burma, India, Nepal, Pakistan and Sri Lanka. 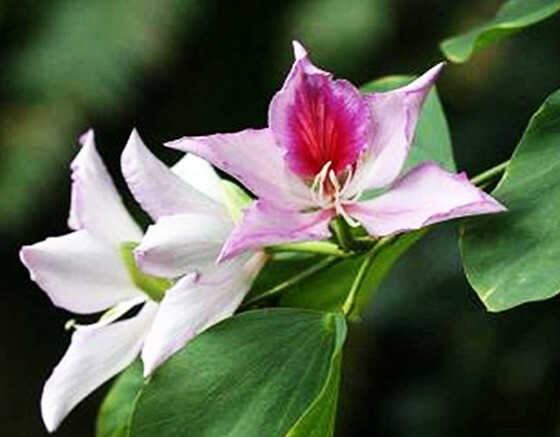 The common names include orchid tree, camel’s foot tree, kachnar and mountain-ebony. 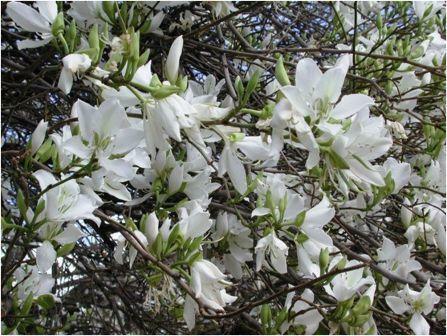 Whilst often having white flowers, it can also have variations of pink from light to dark flowers – as in the photos. So back to the overall story. Whilst rather fanciful, it does follow and does make sense logically and has some good suspense aspects. The romance is not played up too much but exists in the background. Overall I would give it 3.75 stars. Baited? But not a fishing line…. 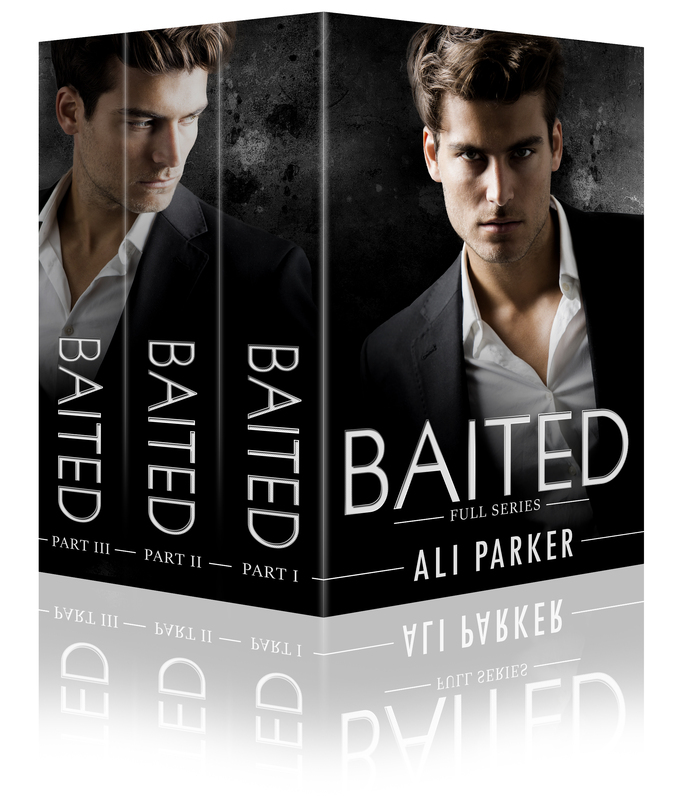 Ali Parker is a contemporary romance writer who is looking to flood the market this year with lots of great, quick reads. For those of you who love a full-length novel, we’ll be boxing up the serial trilogies into a box set a week after the last release. 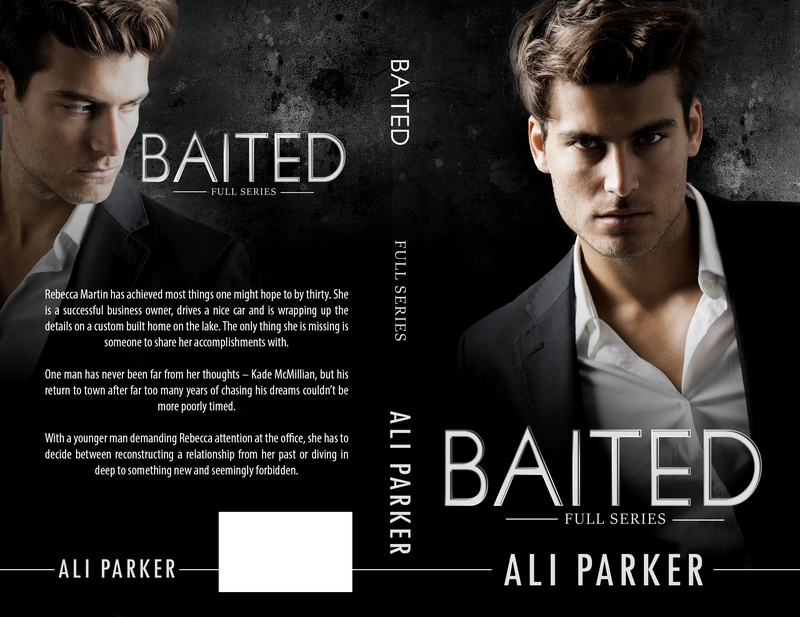 We’re looking forward to putting out both Baited, and Ali’s latest project, Jaded in the month of April. How much faith do you have in our legal systems? Not as one might expect from the title about religion but about a person – Faith. A person who knew too much and who threatened a man’s reason for living – his business, which in this case was a law firm and a Judge and thus corruption probable or real in the determining of sentencing for a lawyer’s clients. Here we also have the system of how judges are promoted from one level of the judiciary to the next- is it by political favour? Or by their behaviour towards criminals whilst in court? Or by their personal life? There was a long running series on British TV called Judge John Steed who was rather a ‘naughty’ man – in that he seemed to be constantly having affairs. The question was when was this behaviour acceptable and when wasn’t it? 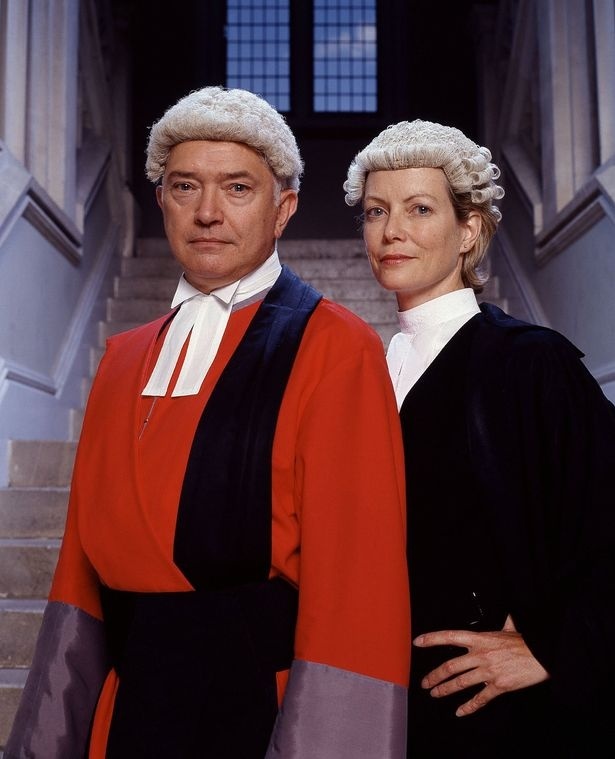 The series revolves around a central plot whereby the politicians and civil servants don’t like him as he a: doesn’t come from the ‘correct’ background in that he was not Eton educated etc; and b: he was a liberal or left-wing judge it was felt by the small ‘c’ conservatives in power in the Civil Service. So why was he promoted? Was it the influence of his wife’s father who was also a judge? Unlikely, in that Steed was divorced for continuous adultery and again was ‘not quite the right sort of person’. But rather through popular opinion from when he was a Barrister defending the rights of his clients. Now clearly the personal behaviour of a Judge is important – it must be seen not to influence judgements and also must not in fact do so. And when a lawyer is involved with a Judge then things become complicated. I would recommend this book to anyone who likes legal thrillers or courtroom dramas. 4 stars. Following the sudden death of his father, a single, middle-aged gay guy struggles with his own mortality be reminiscing about the travels with his gregarious mother. It is a look at the transformation of the baffling, complex relationship between children and their parents. A very complex tale with the medical symptoms well detailed but just how she fell down the first time still remains suspicious in my mind. Post concussion syndrome and PTSD seem to have go scrambled in her memory so that reality and imagination become intertwined and then whose memories is she remembering anyway? Are some of them false? And implanted by her husband? Post concussion syndrome – according to http://www.patient.co.uk/health/post-concussion-syndrome has three major aspects: physical, emotional and behavioural. Physical symptoms include headaches, vertigo, nausea, and problems tolerating light and noise; emotional and behavioural can include aggression, anxiety, depression, disturbed slep, personality changes and sudden emotional outbursts; cognitive symptoms can include difficulty in memory, concentration and attention, problems with reasoning and learning new things. All or most of these were demonstrated by the wife here in this story. But as we don’t know exactly what her behaviour was like before she ‘fell’ down 3 times we cannot tell just which symptoms were there before or not. We only have the husband’s word for what she was previously like. And slowly we learn that she was not who we thought she was. And just how much of a victim she was or wasn’t. We also learn different stories about how she came to leave the Dolls House all of which are traumatic. What is clear is that her time in the House scarred her dreadfully and whatever she did afterwards can be thought of as being a direct or indirect result of what happened to her there. I had realised who the husband was – or at least his relationship to the Dolls House by half-way through but still failed to guess what his actual role was – I knew what he had done to the Dolls House but not the consequences. Here we see a tale that encompasses child abduction – or is it? Fostering for cash or is it? And do remember that when children go missing for any length of time, the parents are always the prime suspects, just like the spouse is in a case of a murder. I give this 5 stars. It kept me hooked and kept surprising me. A Lisa Gardner goody.